What are your main price points for next season? How are you segmenting your goggles collection? We categorize our snow goggle line into three separate tiers that we emphasize: Premium, Mid, and Entry. Of course, the prices are not uniform for all products in a given tier, as that falls to specific product marketing. But we certainly have a healthy regard for all price points given the nature of the market and our ability to offer high-quality product at all prices. As a brand known for technical innovation (Lumalens colour optimized tech, Swiftlock lens changing, frameless design, armoured venting, etc.) we offer a great premium product. For example, our flagship X2 and X2s spherical goggles that feature injection moulded lenses, Swiftlock lens changing and bonus replacement lenses retail for $220 US (€239 & £185). Our NFX2 with Swiftlock and PXV with Panotech goggles with bonus replacement lenses retail for $180 US (€209 & £160). On the opposite side, our Entry collection offer a variety of fit and sizing in a much more attractive price point. For instance, the new DX3 OTG with mirrored lens retails for $60 (€32.50 & £27.50) and $50 (€27.50 & £22.50) with a non-mirrored lens. The market is fairly similar to North America where you’re seeing a polarization of the pricing spectrum. There will always be a consumer who can afford (and who desires) the best, most functional, and innovative product and is willing to pay for it. The premium end of the spectrum is healthy and thriving. On the flip side, there will always be a price-conscious consumer who simply cannot afford more expensive product or may not want to. There is a large market share on the lower end of the pricing spectrum and we aim to offer new products to that market that meet the fiduciary needs of the consumer, while still offering a very solid and competitive product. Both in Fall of 2019 as well as the coming years. We have a lot of product stories that we’d like to tell. However, there are certainly a few that rise to the top. The number one would be to continue to push our PXV goggle featuring Panotech lens that we released in the 2018-19 winter. The groundbreaking new shape (toric in nature) of the Panotech lens allowed our designers to wrap the frame more so that you get an unheralded amount of peripheral vision without an overlay large package or fit. In a controlled lab setting, the PXV measured the highest amount of peripheral vision of the 40+ styles we tested across the market. We firmly stand behind the PXV and its benefits. The next story would be to continue pushing our Lumalens Color Optimized Technology. This is our colour filtering technology that offers increased clarity, enhanced colour recognition and reduce eye fatigue to ALL of our goggles. Every single one of our lenses (other than Clear) utilizes this technology in its base tint. 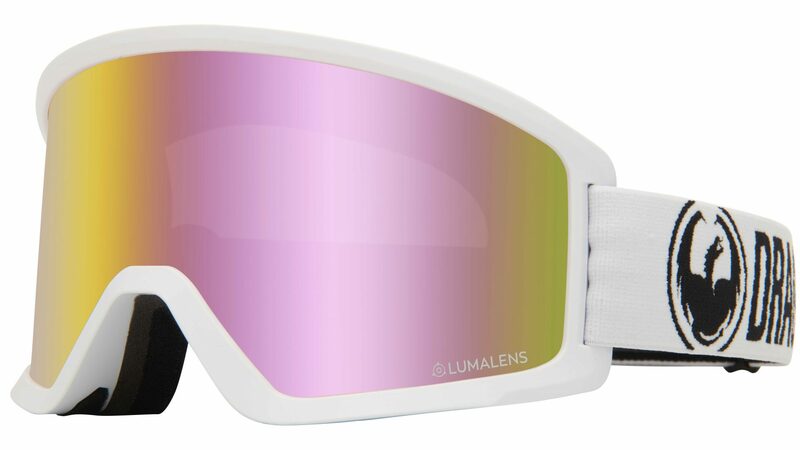 From the premium X2 to the youth Lil D goggle, everyone deserves the benefits of Lumalens, at no extra cost. Aside from thinking our lenses are the highest quality, we believe that Lumalens should be offered to every consumer for no added cost, which is something our competitors do not do. Prism, Sonar, ChromaPop and the like are not line-wide or come with cost caveats. Thirdly, we are pushing our Lumalens Photochromic technology. Dragon has had a history of working with the Transitions brand for our Photochromic needs in the past, but split from them for the 2018-19 season and beyond. We developed with our vendor a superior Photochromic product (currently available in 6 styles, 4 different base tints and a variety of price points) for the consumer looking for a quiver lens. We offer the widest VLT spectrums of any photochromic lens on the market, they have the added benefits of Lumalens, and the pricing is considerably lower than it was with the Transitions lenses. Also, the market has borne a few EC lenses (electrochromic), but we believe that Photochromic is superior for consumers due to ease of use, cost efficiency, potential customer service hazards, and the fact that you don’t have to charge our Photochromic lenses. Circling back to the pricing questions earlier, we also are releasing a new goggle for 2019-20, the DX3 OTG. I briefly mentioned it earlier, but it’s a modern designed goggle for the price conscious consumer. But rather than make a goggle devoid of any features for cost’s sake, we are keeping to our brand ethos and offering a substantial product in the $50-$60 retail range. The DX3 OTG, as the name would imply, is Over-The-Glass compatible for those that need that. 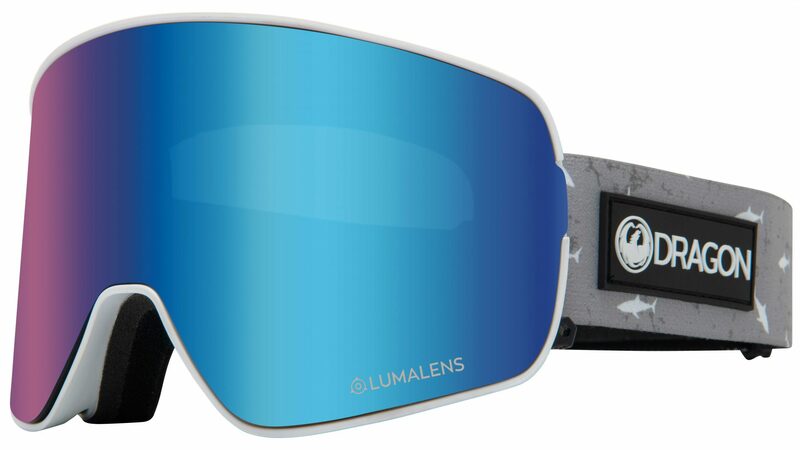 The medium-large fitting goggle also comes with a host of the aforementioned Lumalens tints, and a new internal frame design allows for better ventilation that previously achieved in the Entry price tier. All-in-all, it’s a wonderful looking goggle (will launch with 13 SKUs) that offers functionality at opening price. We believe that the secret to selling high-quality goggles is to first create high-quality product. The market is full of gimmicks and overpriced product, but we don’t bring a product to market unless we believe in its design, its functionality and its worth to a consumer. The market will uphold the price for products that work and look great. From my standpoint in product development that is where the brand is born, from the product and design. Of course, I don’t want to discount all the hard work that the sales teams do, but without getting into a discussion about distribution models, margin analysis or the benefits of clinics: for lack of a better term, if you build it, they will come. We are always looking at ways to cross-pollinate our product categories whenever possible. Certainly, snow goggles are different from sun-wear which is different from optical which is different from soft goods, but snow goggles are ingrained in our Brand DNA. We have an amazing product and we like to lead, technologically, from the category. As I mentioned up top, the DX3 OTG is new for us. The cylindrical lens shape has some sharper corners than previous frames, as that’s where we see the market moving in terms of generic geometry. Our design team has come up with a number of various strap design/colours that are on trend. From female-friendly colours and textures to literally animal prints to a number of hydro frame prints, we see an opportunity as the market looks for unique and eye-catching designs. The 2019-20 line will have more bold and pop colours. Of course, we will have the staple designs and low-key colours. Additionally, we have another iteration of our popular Signature Series collection. We’ve worked with Gig Rüf, Danny Davis, Bryan Iguchi, Forest Bailey, Chris Benchetler, Blake Paul, and Jossi Wells on their Signature series goggles that span between three separate styles. All of our goggles fit with all helmets that are on the market, including the PXV, which would be one of the larger frames for us. In addition to the aforementioned Signature Series, we collaborated with Faction Skis on a limited edition PXV goggle, our 2nd year in the collab (for 2018-19 we used the X2 goggle). There is no new substantial tech for 2019-20 (this will be a long section next questionnaire). We are continuing to focus on pushing the Panotech lens with the PXV goggle, our Lumalens & Lumalens Photochromic technologies, and our Swiftlock quick lens changing system. 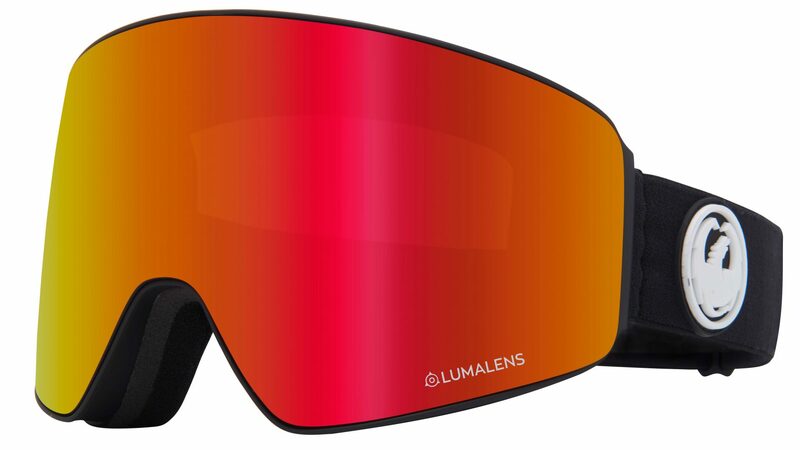 The biggest one for us in lenses is Lumalens. The benefits (enhanced clarity, increased colour recognition, reduced eye fatigue) of Lumalens are inherent in the base colour of the lenses, so there is no coating to scratch off; no treatment to accidentally wipe off. Another big issue with snowsports, especially with the proliferation of side country, is fogging. Or rather, the ability to combat fogging. Our Super Anti-Fog coating on the inner goggle lens is robust and offers the industry best anti-fogging properties. Our mirror coatings on certain lenses allow for reduced glare reduction, reduced VLT percentages and are hard coated for scratch resistance. We offer polarized lenses in all injection molded styles as a replacement lens, but market-wide we’ve seen a downturn in popularity for polarized products. Of course, all of our lenses are 100% UV protective and are all dual-lenses. PXV – Our latest premium goggle featuring our Panotech lens that offers the widest peripheral on the market. Along with the Lumalens colour optimized lenses, the PXV has SKUs that feature Lumalens Photochromic for those looking for the versatility that Photochromic technology provides. DX3 OTG – The latest into the Entry collection the DX3 OTG offers OTG compatibility and modern design at a price point that won’t break the bank. Featuring Lumalens lenses and newly designed frame-venting, the DX3 OTG should make waves in the price point category. NFX2 – Our best-selling medium-fit goggle with our proprietary Swiftlock lens changing technology, the NFX2 features five of our Signature Series designs along with our full complement of the Lumalens lineup.